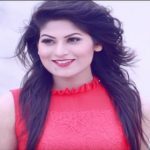 Bonna Mirza is a famous actress in the showbiz industry of Bangladesh. She occupies a lofty place in the media with her acting. She is also a loveable actress in the audience for well-mannered lifestyle as well as nice looking appearance. 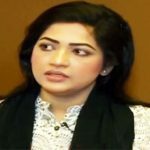 Bonna Mirza is now famous, renowned and glamorous actress around the country. Bonna Mirza was born on September 09, 1975 in Khustia, Bangladesh to Mirza Faruque and Khurshida Akhter. Her paternal home district in Dhaka. Bonna Mirza’s father Mirza Faruque is a warfighter and retired government employee and Mother is a housewife. Bonna Mirza is the second daughter of her parents. She is a Bangladeshi actress. She admitted into the Dhaka University, where she studied in the Theatre Department. Bonna Mirza obsessed to be an actress in her early age. Before joining Dhaka University, Bonna Mirza engaged with a theatre group at the Baily Road in Dhaka. In 1991, Bonna Mirza, started a career as a theatre actress, later she involved with showbiz world. Bonna is a brilliant actress, dancer, and a music video performer. She made a debut in the media industry in 1991 with the stage show. Five years later, she made her on the television screen with the drama ‘Shukher Nongor’. Then she acted in some very popular dramas including Vober Hat and Ronger Manush directed by Salauddin Lavlu. Bonna also acted in some movies and television advertisements. Bonna Mirza is a successful actress who wins the heart of the audience. She is nice looking and her beautiful appearance makes herself popular around the country. At the age of 37, she got married to Dr. Manosh Chowdhury. Mirza has chosen him as a life partner, Dr. Manosh Manosh Chowdhury is an associate professor of Anthropology Department of Jahangir university.